All BELCARA AT MCCORMICK RANC homes currently listed for sale in Scottsdale as of 04/24/2019 are shown below. You can change the search criteria at any time by pressing the 'Change Search' button below. "This upper level condo has what you're looking for! Beautiful pool and courtyard views on the interior of this well maintained complex. 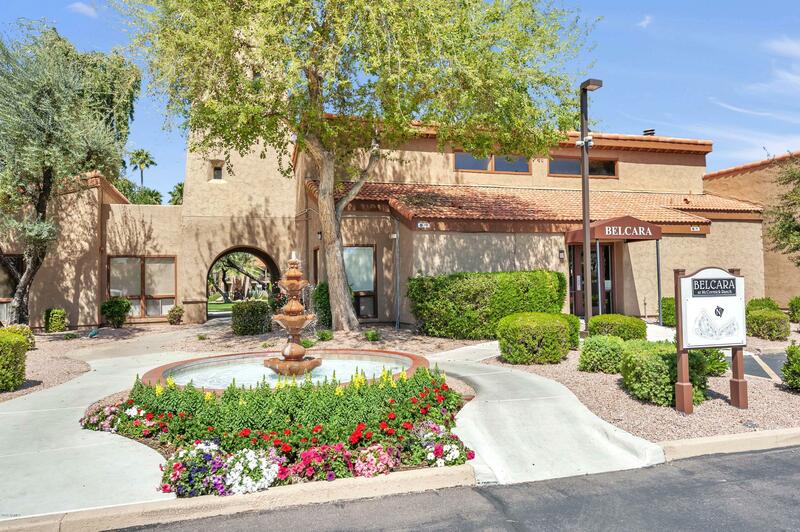 Great location in the middle of Scottsdale with easy access to freeways, shopping, entertainment and the walking paths of McCormick Ranch. New low E windows and sliding door. Quality interior touches like crown moldings, custom paint color, newer laminate flooring in the main living area, upgraded granite counters with light cherry cabinets in kitchen and bath"
"This beautiful updated condo in the heart of McCormick Ranch is close to great restaurants, shopping, golf, casinos and more!! Newer light colored laminate wood flooring thru out living area,kitchen and bathroom are tiled. The Belcara Condominiums are surrounded by beautiful green landscaped grounds and amenities include 2 pools , fitness center and community center. Would make a great seasonal/vacation home and all furnishings are available on a separate bill of sale." "This beautiful updated condo in the heart of McCormick Ranch is close to great restaurants, shopping, golf, casinos and more!! Newer light colored laminate wood flooring thru out living area, kitchen and bathroom are tiled. The Belcara Condominiums are surrounded by beautiful green landscaped grounds and amenities include 2 pools , fitness center and community center. Would make a great seasonal/vacation home and all furnishings are available on a separate bill of sale." "LOCATION! 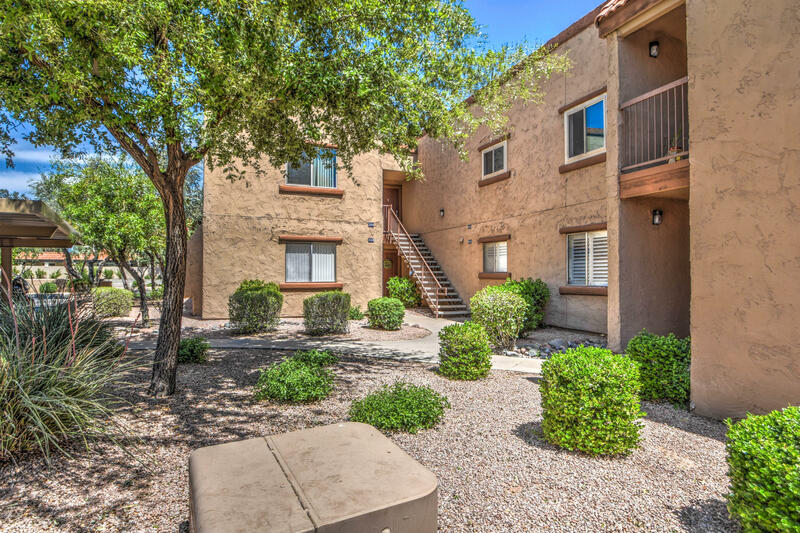 This beautiful condo is minutes from everything Scottsdale has to offer! There is not one detail left out, BEAUTIFUL crown molding, never used appliances, new stacked Washer and Dryer, new paint, new energy efficient windows and doors, new ceiling fans, new lighting fixtures, gorgeous light tile throughout! Beautiful mountain views from every window! 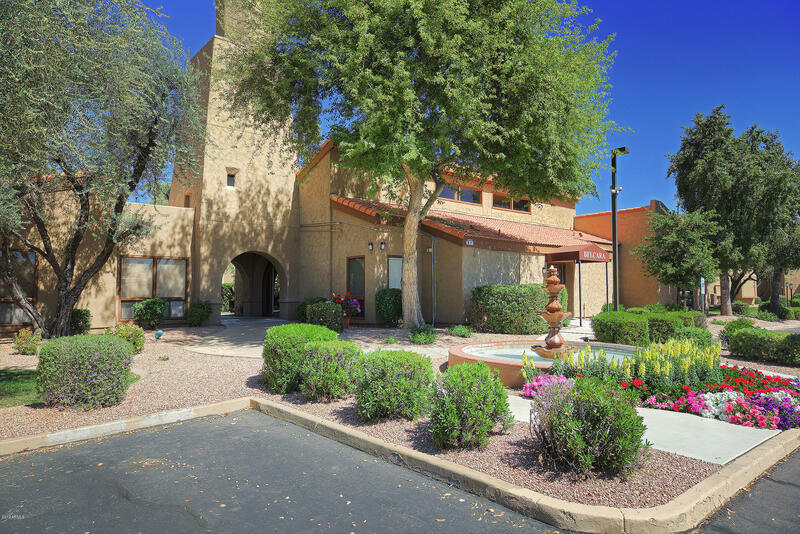 The condo is steps from its reserved covered parking spot, walking paths, gorgeous clubhouse with heated pool and fitness facility. It i"